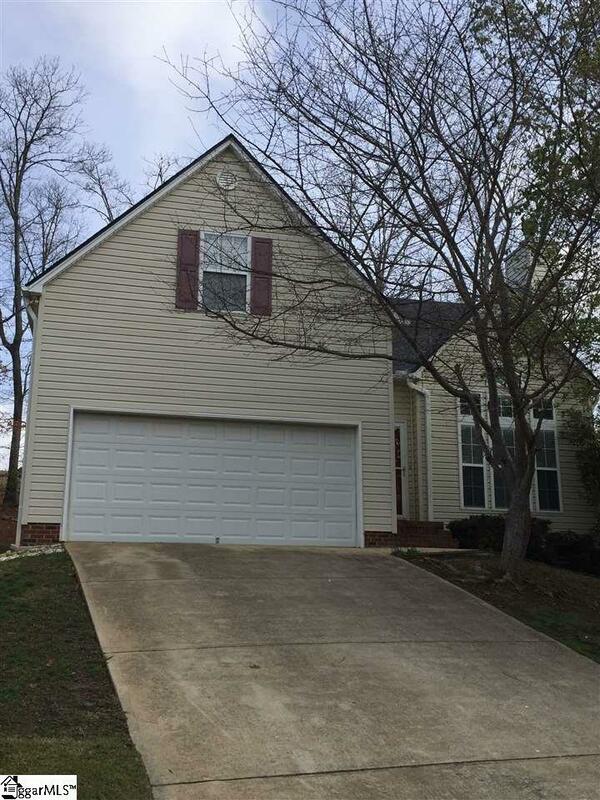 This charming 3 bedroom 2 bath home is waiting for you in Greer. Located in Hammet Crossing subdivision and in much desired Riverside School district. As you enter the living room you will notice the vaulted ceilings and natural light welcoming you home to cozy up to the gas log fireplace. The master bedroom and bath are on the main level. There are two bedrooms, a full bathroom, and laundry room upstairs. Also upstairs is the very spacious bonus room, which could function as a 4th bedroom if so desired. Outside the patio and deck are perfect ways to enjoy the crisp evenings this season. The waterfall is also a special backyard feature.